Hidden Aliens is another point and click type hidden number game from Games2dress. 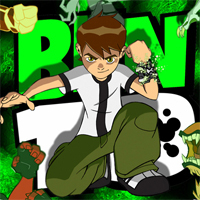 Assess your observing skill by finding the hidden aliens which are in Ben 10 pictures. Avoid clicking unnecessarily,as otherwise your score will get reduced. In 3rd level, find the chosen alien will get disappeared. Good luck and have fun!